A vision of what makes Southern Delaware unique. With photographs accompanying 73 poems, stories and essays by internationally known poets and storytellers to emerging writers who share their love for what makes Southern Delaware special to residents and visitors alike. All proceeds benefit the Lewes (DE) Public Library, host to the annual Lewis Creative Artists Conference. Edited by Billie Travalini, author of Bloodsisters. 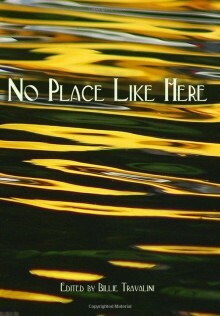 Order No Place Like Here from Friends of the Lewes Library. All proceeds benefit the Lewes Library.